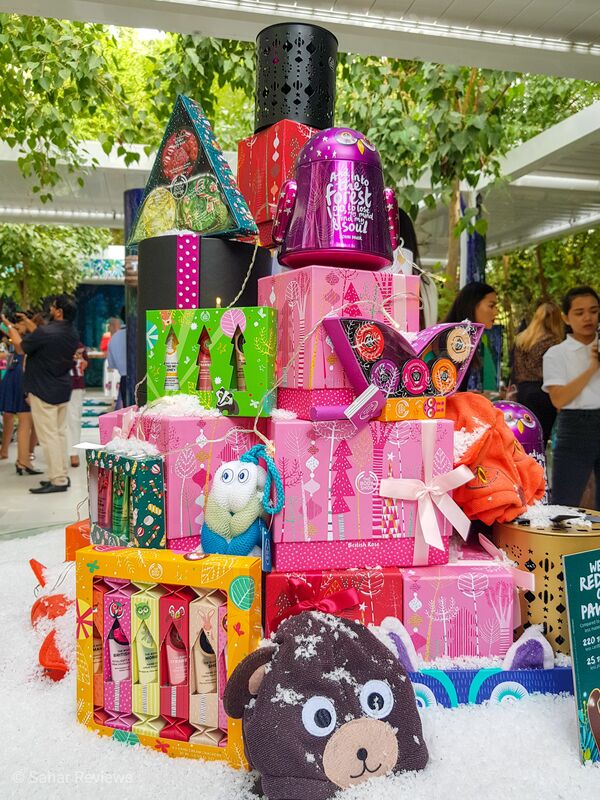 The Body Shop are getting ready for Christmas by giving us a glimpse of an enchanted forest in Dubai! Snowy, sparkly, magical: an ultimate winter-wonderland experience. 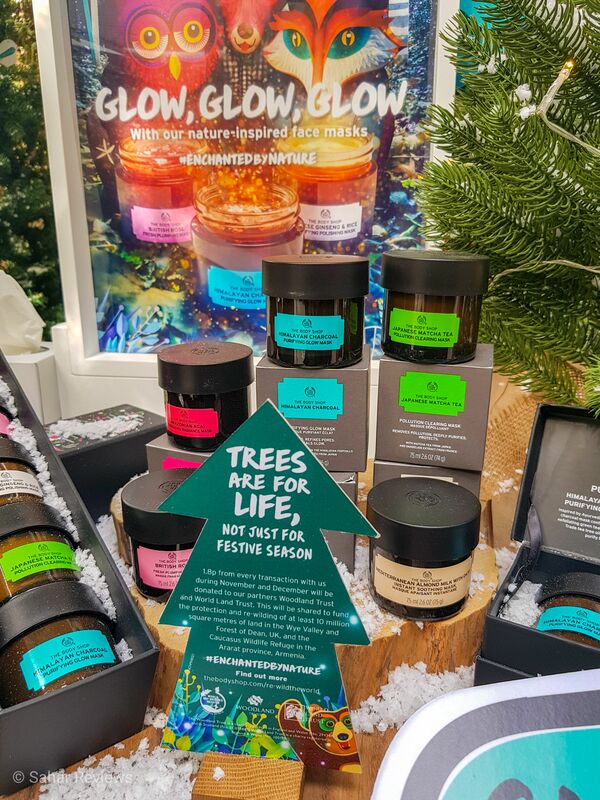 A forest perched in the heart of Al Barari paradise, is where The Body Shop hosted its media event to premiere the all-new Christmas collection. Once you step in, you’re transported to a lush, green tropical oasis stationed in the outskirts of Dubai. The delicate fluttering leaves veiled in mist, a quiet zen pond and the trickling waterfall. 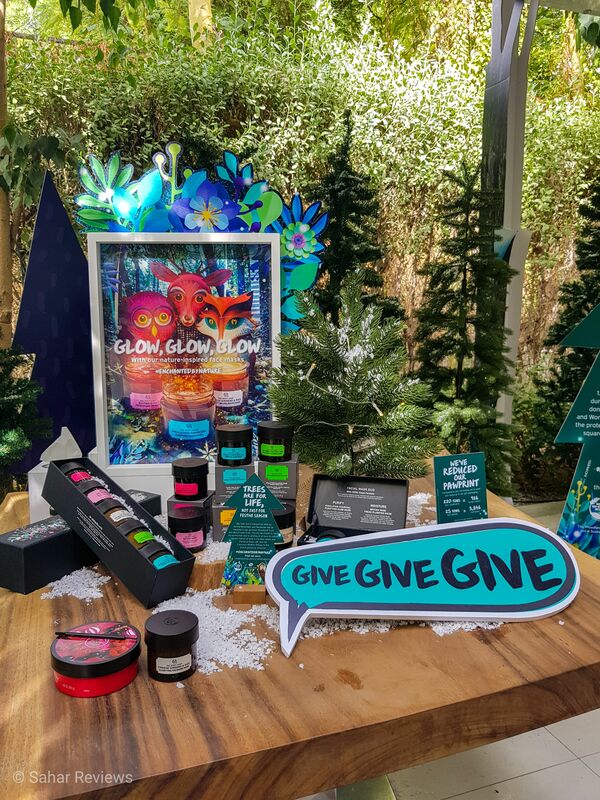 This year’s theme centres around the admirable cause of giving back to nature. 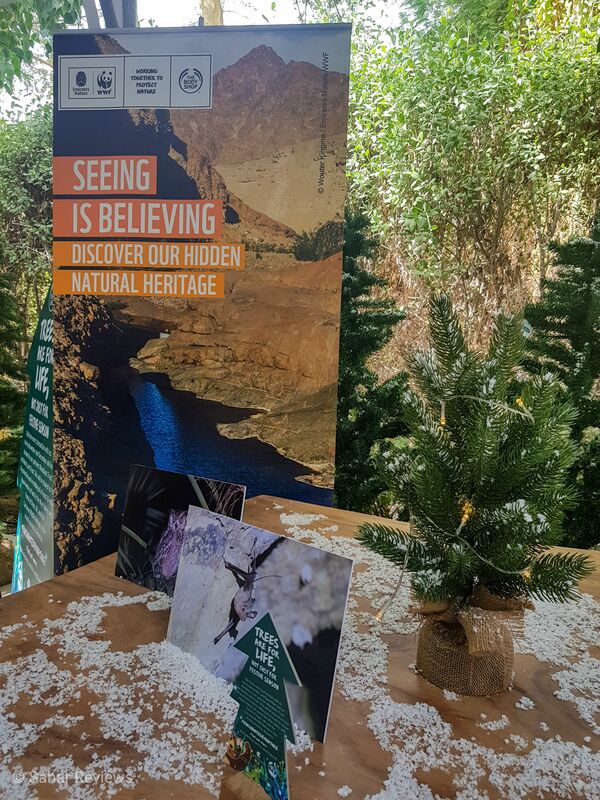 Working in partnership with The Woodland Trust, it provides you an opportunity to support their re-wilding campaign – based on values far deeper than just buying a new beauty advent calendar or seasonal gifts for loved ones. 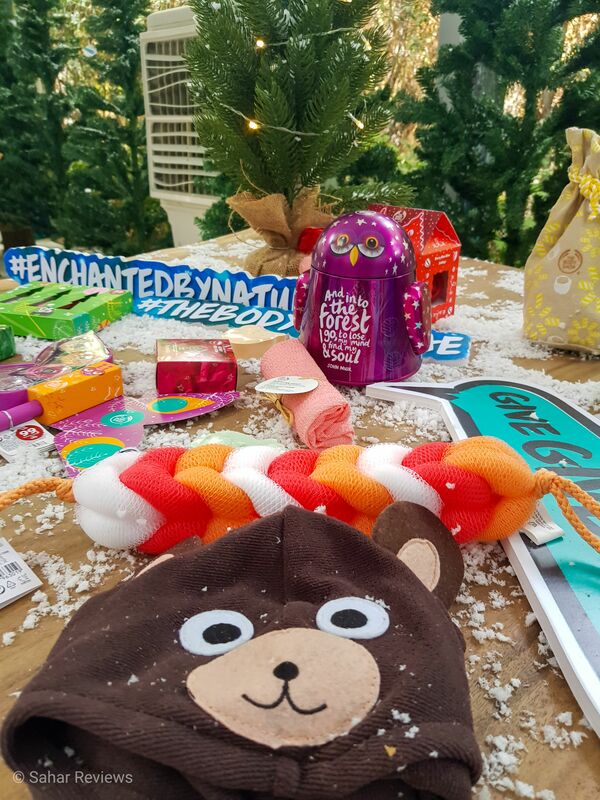 The forest-inspired theme comes with colourful presentation of animals and other enchanted creatures, with a festive edge that makes this year’s release a special one. 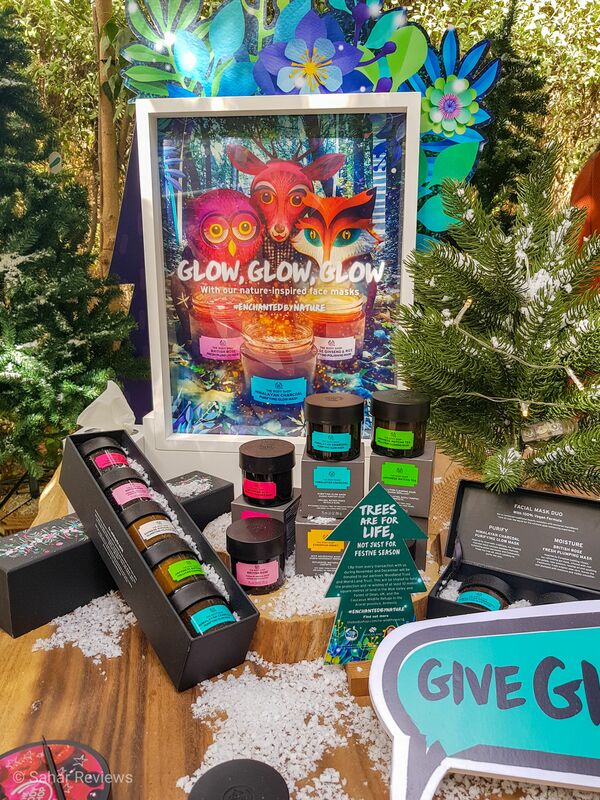 Like previous years (read more here), The Body Shop has some great Christmas gifts lined up for this season. Packed in beautiful, sturdy, ready-to-gift boxes and tins … who would not get all excited about unwrapping one of these sets! 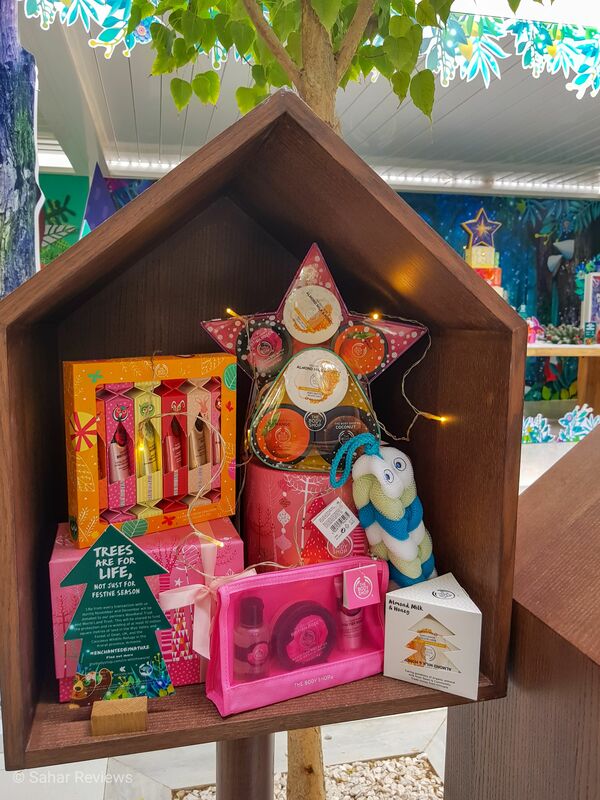 Here are a few of the other gift sets I have my eye on from this year’s range. 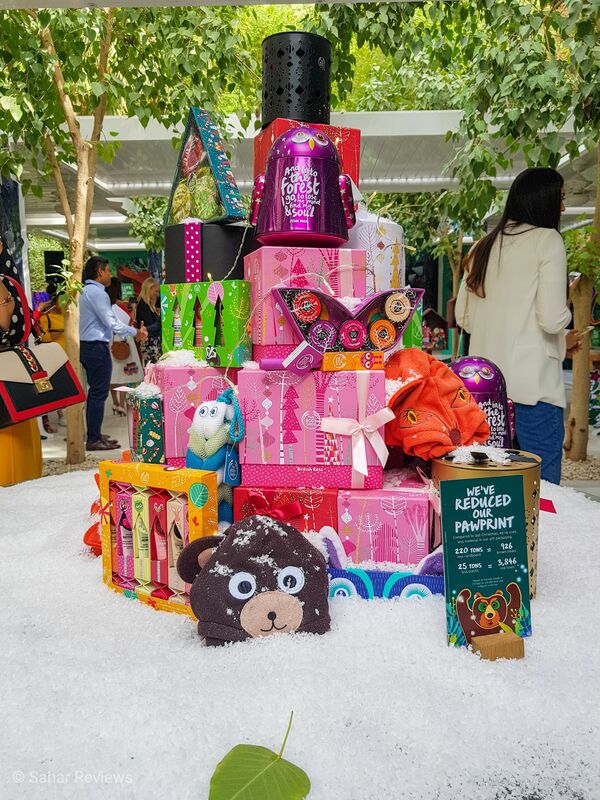 Olivia The Owl (AED 99): This gorgeous tin-box is filled with six travel-sized products and enriched with the fruity and creamy scents of strawberry and coconut. Also, this fun and festive gift transforms into a roly-poly money box after. 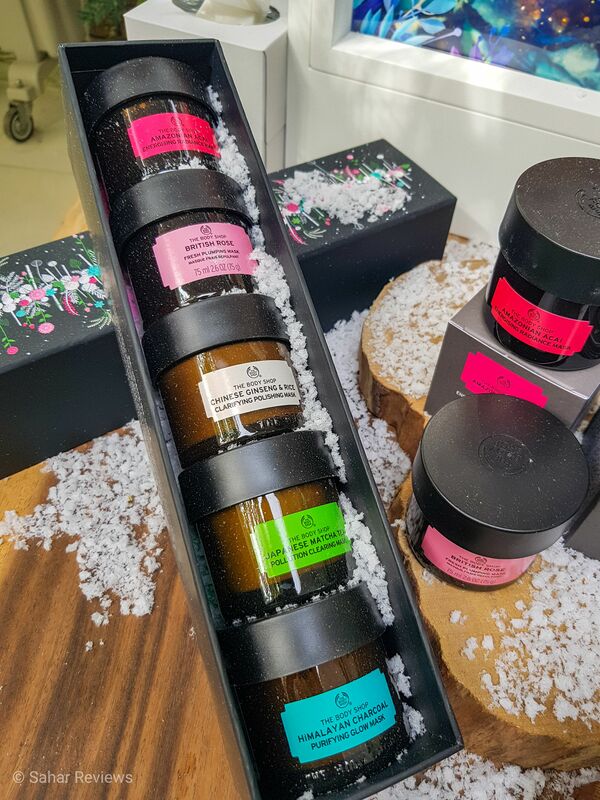 Spa of The World Relaxing Escape (AED 269): The two new face masks that are launching this season are: African Ximenia Scrub and Japanese Camellia Body Cream. This luxurious duo is available in a beautiful gift set. Festive Body Butter Trio (AED 75): What could be more festive than peppermint candy cane, Bon Bon and vanilla marshmallow body butters? Enriched with peppermint scent, cranberry seed oil extract and vanilla extract – this creamy trio of uplifting, fruity and sweet treats will keep the skin softer and smoother all season. Advent Calendars: With vibrant packaging inspired by the thriving wildlife of the forest, the Deluxe and Ultimate Advent Calendars are both packed with 25 luxurious treats. Its a pricey investment, but considering the list of products inside, I’ll say it is worth it. 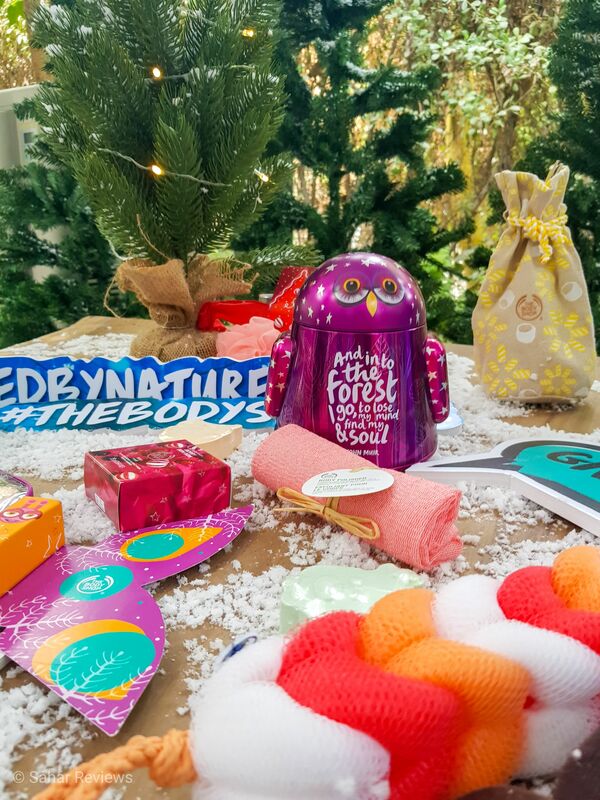 Are you buying any Body Shop gifts this year? 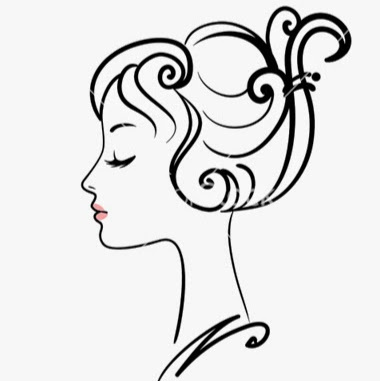 Love The Body Shop! 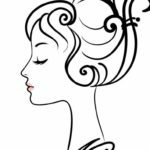 You can always find a present for someone at their stores – and usually a present for yourself as well! !